This December you stand the chance to win this massive hamper valued at R4000, filled with goodies from Annique, Spalicious and iSlices, including a DermaLift Galvanic Machine! 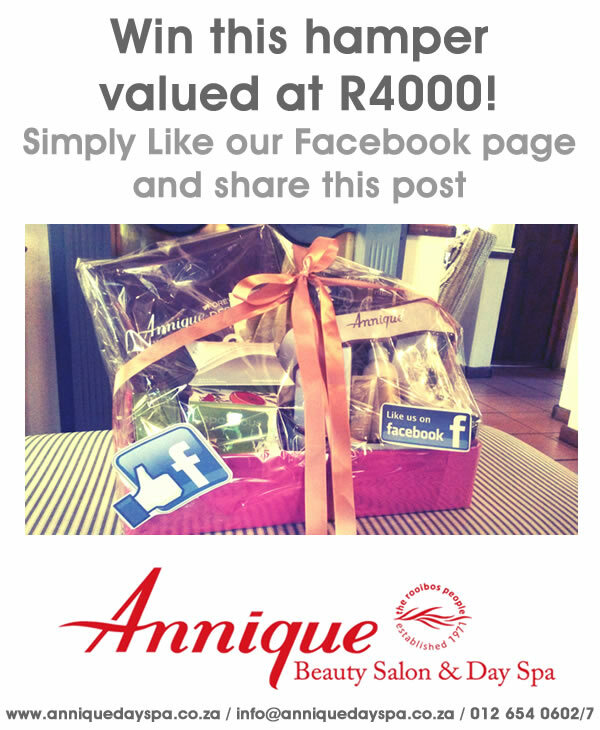 All you have to do to enter is to like our page and share this post. If you have already liked our page, simply share this post. The competition closes on 31 December 2014 and the winner will be announced on 2 January 2015 to start off the new year in luxury.